The Sahyadris or the Western Ghats is a major mountain range of the world that runs for 1,600 km N-S forming what has been called “the girdle of the earth”. In terms of geological age, they are much older than the Himalayas. The range is only next to the Himalayas on the Indian subcontinent and represents the tropical humid area rich in biodiversity. It is a precious gift of the Nature - priceless because the well-being of the entire southern peninsula hinges on the ecological stability of these mountains. But this priceless asset, an inheritance, is being squandered away through mindless exploitation and wanton destruction. The rate of forest destruction continues at a staggering rate, threatening to turn this once lush green region into a lifeless, brown desert in the not so distant future. In this book I have attempted to construct a profile of the Western Ghats covering different aspects - from the geological history to the tribes and the hill stations with the intention of showing what is it that we are in the process of destroying. It is high time that the common man is made aware of this irreversible damage which will ultimately affect the quality of life and his well-being and that of the generations to come. I was born in a village at the base of the Sahyadris in Goa on the West Coast and spent all my life in the shadows of this great mountain range. When I looked for a publication that gives an overview of the Sahyadris, I did not find any. So I started collecting material from various available sources and put it together. This book is the result of that endeavour. I also undertook journeys and travelled the whole length and breadth of this range from Kundaibari Pass, south of the Tapti river to Kanyakumari with my camera. While the hill stations in the Western Ghats from Saputara in Gujarat in the north to Ponmudi near Agasthyakoodam in the extreme south draw considerable tourist traffic in the Western Ghats, Eco-tourism has now taken roots and side by side with adventure sports like trekking, rock climbing, river rafting, hang-gliding, angling, etc. is becoming popular and spreading in the hills. Ecotourism is defined as “Responsible travel to natural areas that conserve the environment and sustains the well-being of people”. Ecotourism creates low impact on the environment and local cultures while enabling to understand the importance of environment in true sense. The ecotourist is less demanding, more cooperative and willing to adapt and accommodate himself with minimum reasonable facilities in his search for virgin destinations. He develops an emotional investment in the places and the species he had visited. He is always willing to contribute for their survival and lend moral support for all conservation action. Many government and private ecolodges have sprung up in the Western Ghats catering to this class of tourist. The Kerala Forest and Tourism Department have begun the process of developing 12 wildlife sanctuaries under ecotourism and will offer ecolodges for the tourists. The State Tourist Development Corporations of all the concerned states offer comfortable accommodation at all the major tourist spots. The State Forest Departments also offer accommodation at their forest lodges and rest houses inside the sanctuaries like Bandipur and Madumalai. A number of ecolodges and ecoresorts have come up on the outskirts of sanctuaries at Bandipur and Masinagudi near Madumalai. 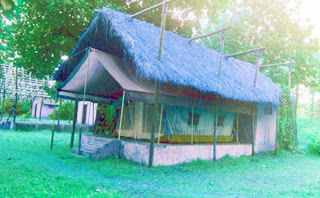 Karnataka Forest Department has also established Nature Camps in jungles at places like Nisargadhama in Kodagu, Anshi and Kulgi in Uttara Kannada which offer cottages and tent accommodation. Quite a sizeable number of private ecoresorts have come up among the coffee estates of Kodagu and Munnar. 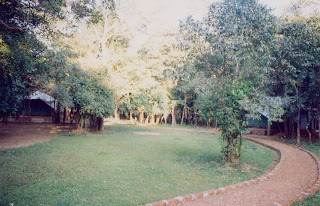 Dandeli and Nersa near Karnataka - Goa border, Lakkidi and Nelliyampaythy in Kerala, Bellikal in the Nilgiris, Dajipur Bison Sanctuary in Maharashtra all have private ecoresorts. Home Stays is another option now available to the ecotourist in some of the places in the Western Ghats. 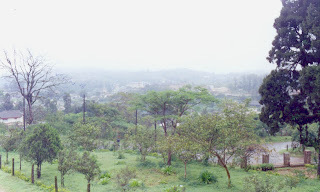 Kodagu in Karnataka leads in the Home Stay arrangement. Majority of the hill stations in India were created by the British during their three centuries in India. Most of them were established during the nine-teenth century expansion of the British empire. The British in India attempted to create fond reminders of home but despite their best efforts, they could not entirely succeed in making “a little England” in India - a quaint Indian-ness always pervaded. During the early and mid-nineteenth century over 80 hill stations were established at altitudes between 1,230 and 2,460 metres. The British had to face the tropical heat in the subcontinent and a great deal of physical discomfort in the months leading up to the monsoons. The Britishers considered from their earliest days in India that tropical heat was downright unhealthy. Most of the earliest stations were built as army cantonments to give European troops a breather from the pre-monsoon heat, military units being regularly rotated between the plains and the hills. Remote cantonments lingered on in isolation as sterile military barracks while the more accessible ones were transformed by the life-giving force of civilians into gay social and educational centres. It was considered desirable to send women and children to cooler places in the mountains. Memsahibs spent four to five months every year in the hills, while some of their offspring were sent to the boarding schools that had sprung up in these resorts, until the time came for these children to return to Britain. 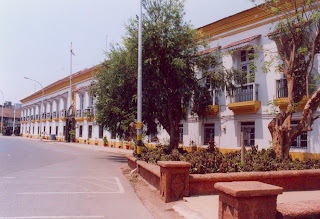 The resorts nearest to large administrative centres usually attracted local patronage, so Ooty was the summer capital for Madras, Mahabaleshwar became the summer capital of Bombay Presidency. Others were more popular with particular clientele e.g. Kotagiri served as a station for planters and boxwallahs. Madanapalle, was mainly the goal for pensioned officials; Matheran, always acted as amagnet to wealthy Parsee Merchants sweltering in Bombay’s pre-monsoon humidity. 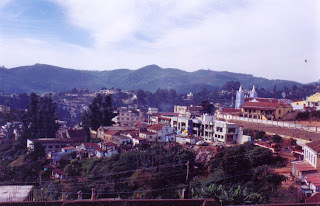 Kodaikanal was not founded by the British but by the ailing American missionaries. Several hill stations have been planned and built since independence came in 1947. But they all served a similar purpose, though northerners rarely went south, and vice versa, and regular visitors to the hills tended to become devoted to a particular resort. The Western stations, conveniently clustered in a loop south of Mumbai, are not much over two thousand feet, with the highest, Mahabaleshwar, reaching a modest height of 4,700 ASL. These stations perch on the Western Ghats and are free from snowfalls and rarely experience frost. At their southern extremity, the Ghats suddenly descend into rolling downs and then rise again to plateaux of surprising height; Ootcamund and Kodaikanal are higher than almost any other hill station save a few in the Himalayas and have a climate almost European in coolness and damp. Regardless of location, the highest resorts were usually the preserves of the leaders of the society, while the merchant classes, known as boxwallahs recuperated in the lower altitude stations and the common soldiery were confined to adjacent cantonments, on the occasions they were shuttled up from the plains. The following are the hill stations located in the Western Ghats. Most of the hill stations were founded and developed by the British in the 19th century and some were developed by the princely state in the west and the south. A number of hill stations have been developed after independence which include Saputara in Gujarat, Malsej Ghat and Igatpuri in Maharashtra, Kudremukh and B. R.Hills in Karnataka, Red Hills, Bellikkal and Palni in Tamilnadu; Wayanad, Silent Valley, Thekkady and Nelliampathy in Kerala. Mahabaleshwar is the largest and most popular hill station in Western India. At 1,372 metres (4,501 ft) above sea level, it also has the most spectacular views. 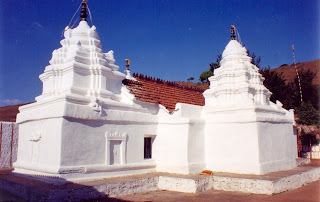 The first mention of Mahaba-leshwar describes a visit there by the Yadav king Singhana in 1215. In commemoration he built a temple dedicated to the God Mahadev. Subsequently this hill region was undisturbed for centuries. The first white man to visit Mahabaleshwar was Sir Charles Matel, British Resident at Poona in 1791, though others believe that the first European to set foot in these hills was a Major Lodwick in 1824. Lodwick campaigned for the establishment of a hill station at this remote jungle site, the name of which he corrupted to Mahabillysir. The newly arrived Governor of Bombay, stayed at a bunglow built on Sindola hill. He was so impressed that he ordered a survey of the Mahabaleshwar hills and directed the medical board of Bombay to appoint an expert to investigate the climate and convalescent homes for British soldiers were established, though a treaty had to be signed with the Rajah of Satara for a territorial exchange giving him title to the village of Khandala. 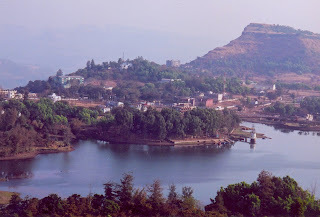 In a short time, Mahabaleshwar became quite popular and was quickly named as the summer capital of the Bombay Presidency. The new resort flourished, houses sprang up, sites were found for public buildings, and a jail was established for Malay and Chinese convicts. The new community certainly benefitted from the prisoners presence in the form of rapidly and cheaply constructed roads, buildings and gardens. And the industrious prisoners cultivated potatoes, strawberries and English vegetables with great success. During1830s Mahabaleshwar prospered and roads were built to open up a number of vantage points for the pleasure of the increasing number of visitors. The most popular viewing place was Bombay Point, where a large space was cleared for turning carriages and a band platform was erected, but Arthur’s Seat, Elphinstone and Sidney Points were also much visited. Before long a criss-cross of trails, totalling some 60 kms, cut across this corner of hills. In1850, a retired officer of the East India Company, chose a site eleven miles away from Mahabaleshwar, on a spur of the Western Ghat, 200 ft lower than Mahabaleshwar, but on the lee side, thus escaping the heavy rains and mist of the outer ranges. 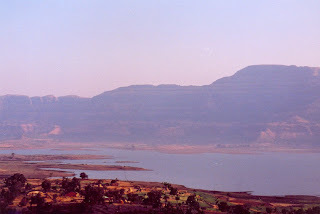 Here five villages were clustered together and called Panchgani. At fifty-six inches per annum, Panchgani rainfall is one fifth that of Mahabaleshwar, making it habitable throughout the year. The cool salubrious climate was well-suited for a European colony. Panchgani was recognised as a hill sanatorium in 1863 by the governor of Bombay. Matheran was discovered by one Hugh Malet, the collector of Thana on an isolated hill top near the Western Ghats only thirty miles east of Bombay. 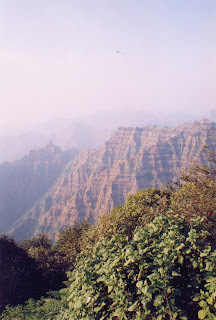 Matheran’s summit is crowned with thick forest and undergrowth. Even at the hottest time of the year, the spreading, leafy cover makes mid-day walking a pleasure, except when the monsoon breaks in mid-June, for the annual rainfall exceeds 200 inches. The railway to Matheran was built by Sir Adamji Porbhoy, the father of Matheran railway. He travelled from Bombay to Neral on the railway line originally built in 1854, the first in India, and planned to continue by the more elementary transport then available on to Matheran. Unfortunately he was in the midst of an excessive rush, for all horses and rickshaws were booked forcing him to return to Bombay. He decided to build a railway of his own to Matheran. After thirteen lakhs of rupees and four years of effort the railway was completed and Sir Adamji could enjoy all the satisfaction of a fulfilled ambition. The railway was a boon for all Matheran-bound travellers, for until 1907 the lengthy trip on horseback from Neral to Matheran was not exactly relished by Bombay businessmen, who were mostly Parsees, for this community was in the forefront from the time Matheran was first established as a summer resort. This is an old fort, possessed at one time by the grandfather of the legendary Shivaji, and later used as a refuge by the Peshwas of Poona when they were forced to flee their capital. 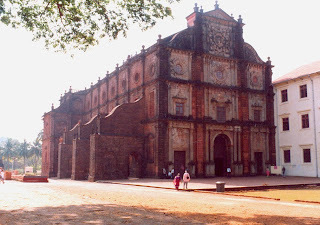 At the conclusion of the second Maratha War, the British took over the fort in1818 and subsequently, Purandhar became the official sanatorium for European troops of Poona Division of Western Command. Lonavala stood on the Great Indian Peninsular railway line, and was easily accessible from Bombay and Poona. As many as eight schools had been established there as well as two religious missions, a co-operative store and three hotels. An ancient wood of fine trees, fifty six acres in extent, doubtlessly helped to attract the large number of visitors from Bombay. Just next door, Khandala had an European hotel, four schools, convalescent home, dispensary and several bungalows built by Bombay businessmen. Khandala offered many fine views of the Ghat range which ran north and south along lines of great natural beauty. A nearby waterfall divided into two cataracts during the rainy season, with the upper fall having sheer drop of three hundred feet. Amboli 30 kms up the Ghats from Sawantwadi, is a small settlement perched only 2,300 ft up on the edge of the Western Ghats. It commanded fine view and offered pleasant climate and good accommodation for the tired travellers who journeyed up via either Ramghat or Mahadeogarh. It was developed as a hill station by the British political agent, Colonel Westrop, after the opening of the Ghat road from the coastal town of Vengurla to Belgaum. Of Amboli in the 1880s it was said ‘the ghats... Swarm with beasts, but the jungle is so dense that it is almost impossible to drive them from their lairs’. Even today there is some forest around Amboli. Amboli is on record as the wettest place in Maharashtra with an average of 750 cms (296 inches) of rainfall a year, falling between June and October. At this time, the hill station is wrapped in mist. In other seasons there are fine views of the Konkan coastal belt. Because of its size and distance from Mumbai, it is quiet and peaceful. 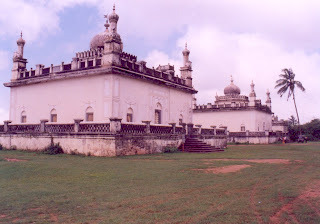 Kemmanagundi, 55 km north from Chickmagalur is situated in the Bababudangiri range. It was developed by the princely state of Mysore. It is also called K. R. Hills after Wodeyar king Krishnaraja Wodeyar IV who made it his favourite summer camp. It is at an elevation of 1,434 metres and has beautifully laid out ornamental gardens and panoramic view of mountains and valleys. Madikeri is situated in the Pushpagiri range of the Western Ghats in Kodagu at an elevation of 1220 m.
When you enter Kodagu, it is like entering an enchanted land. 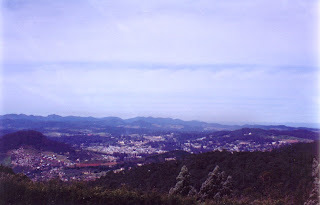 Range upon range of forested hills stretch into the distance. There are rosewood and sandalwood trees, deep in the shade are thousands of hectares of coffee bushes, black pepper vines, the celebrated Coorg orange trees and near the beds of streams, cardamom plants. The valleys are brilliant green with paddy which produces aromatic rice that is the staple diet of the Kodavas. Over the last decade or so, a number of tourist resorts have come up, spread all over Kodagu and the number of visitors to Kodagu has considerably gone up. 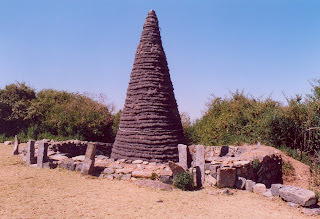 Little is known of the early history of the Nilgiris. 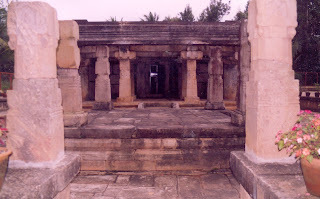 The first recorded time the word ‘nila’ applied to the region can be traced to 1117 AD in the report of a general of Vishnuvardhan, King of Hoysalas, who in reference to his enemies, claimed to have “frightened the Todas, driven the Kangas underground, slaughtered the Poluvas, put to death the Malayalas, and terrified king Kala” and then proceeded to offer up the peak of Nila mountain (presumably Dodabetta) to Lakshmi, Goddess of Wealth. The first European to attempt the gruelling climb to the Nilgiris were Portugese clerics led by Father Jerome Ferreiri in 1602 seeking a lost group of Christians and who struggled up the mountains avoiding elephants, tigers and other wild beasts, and met the Todas at the top. The Toda’s showed no interest in conversion, so Father Ferreiri and his small band headed back to Calicut. It was not until 1812 that the members of a survey team climbed the mountains, though stopping short of where the Ooty is today. In 1818, two customs officials on the track of a gang of tobacco smugglers, reported finding a large, secluded plateau guided by some Badagas, a tribe inhabiting the lower mountain slopes. On their return to Coimbatore, they reported their discovery to John Sullivan, Collector of Customs. Sullivan visited the hills, accompanied by a surgeon and an ailing French naturalist and began construction of a bungalow at Dimhatti, the farthest point he had reached earlier. The Frenchman recovered in the cool climate and wrote an enthusiastic account of his findings, listing over a hundred species of plants new to him. Sullivan was determined to live there and in April 1822 began construction of a small bungalow, the first building in Ooty. Others followed him purchasing land from the Todas for one Rupee per acre. Sullivan, however, bought up vast land and going into construction venture, sold and leased housing at a considerable profit. In 1827 Ooty became the official sanatorium for the Madras Presidency and the Madras Government began to move up there in hot season. Ooty stands 2,240 metres (7,349 ft above sea level) in the Nilgiris or the Blue Mountains at the junction of the Western and the Eastern Ghats. 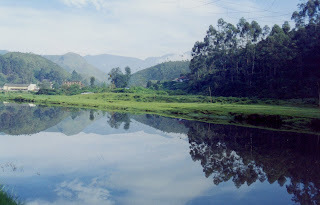 The undulating countryside allows Ooty to spread over 36 sq. km. 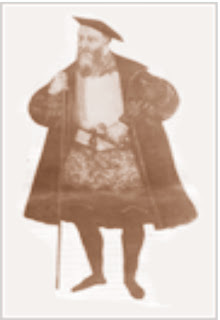 Sullivan, popularly known as the father of Ootacamund, had been the guiding and dominant figure in Ooty’s early years; his portrait still hangs in the Ootacamund Club. There is an interesting anecdote about the origin of the name Ootacamund. The Toda while selling land to a Briton said in broken English “I take da money and Youtakedamund”. Among the famous personalities who visited and stayed over a period in Ooty in the early period are Thomas Babington Macaulay, the famous academic and politician and Richard Burton, later to become a controversial explorer and Arabist. When it was made the summer capital of Madras Presidency. Governors, governor generals and princes flocked to the hill station and its active club life rivalled any centre on the plains. It came to be called ‘Snooty Ooty’. Satellite hill stations grew up around it - Coonoor, Kotagiri and Wellington for the army. Tea became the leading cash crop of the area after the first bushes were introduced at an experimental farm in nearby Kettu by a French botanist. The best Nilgiri teas still rival Darjeeling tea for flavour. Chinchona for quinine, and coffee were also introduced. The hill station’s popularity increased still further after Independence and it is now the favourite hill station for southern Indian holiday makers. Coonoor, 1,858 metres (6,096 ft) above sea level is the second largest station in the Nilgiris and lies on the eastern side of the Dodabetta range but easily accessible from the plains. It receives rain from north east monsoons. Coonoor rises up the sides of basin formed by the expansion of the Jakatala valley, at the mouth of a gorge and surrounded by wooded hills and it soon became rated in the south second only to Ooty. Its rainfall of sixty-three inches normally falls during the short period of ninetyone days. 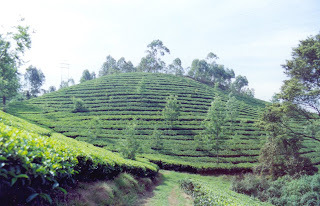 Coonoor had several tea and coffee estates in the vicinity. The town was well kept, but the increasing population had strained the drainage system. The Europeans, as always, had occupied the upper level of the town, leaving the native bazaars to the valley below. Situated at the principal pass from the plains, Coonoor offered several beautiful drives along twenty miles of excellent roads, along the sides of which grew hedges of roses, fuchsia and hellitrop; and magnificent vistas of the steep-sided valleys on either side of the ghat road. 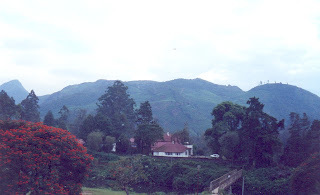 A British regiment was stationed in 1843 at a small village called Jakatala, one thousand feet below Ootacamund. An officers training college was built there in order to acclamatise new recruits for the Madras Regiment, and it was renamed Wellington, after the great Duke, in 1854. These barracks became HQ for the Southern Brigade of the 9th Secunderabd Division, turning Wellington into principal military sanatorium. It remained popular until 1947, when it became the site for the permanent quarters of Madras Regiment. Only eleven degrees from the Equator, Wellington has a temperate climate and a covering of rich soil, resulting in rapid and prolific growth of many varieties of fruit and vegetables on its intersecting hills and valleys. Kotagiri, founded in 1830, is perched among wooded slopes of the Nilgiris overlooking ravines and fertile valleys. This town became the seat of judgement for fortnightly crime trials. The climate here has long been preferred by many to that prevailing in Ooty as it is warmer and less exposed to the vagaries of the south-west monsoon. Pre-historic artefacts have been found around Kodaikanal, indicating that it was once the home of now forgotten people who left behind mysterious megalithic structures, burial grounds, and tombs containing copper and brass implements and ornaments. In 1834 the collector of Madurai, built a house at the head of Shembagannur pass and the development of Kodaikanal began. Kodaikanal is situated on the upper crust of the Palni Hills at an elevation of 2000 m.
The first permanent homes in Kodaikanal were erected by a group of American missionaries, who had been based in Madurai who suffered many deaths from a fearful attack of cholera. They built a bungalow in Sirmalai hills, but its altitude of 4,000 ft gave some relief from the after effects of cholera, but not from malaria. They appealed to the British to help locate a more suitable site and soon the first two crude bungalows, named Sunnyside and Shelton, had appeared in Kodaikanal basin and six American families moved in. Soon British neighbours settled around them and Kodaikanal was on the map of South India. Kodaikanal because of its situation is protected from the heavy monsoons which deluge nearby ranges from May to September. As light rain falls throughout the year the region is spared the occasional dry spells and water shortages which affect the Nilgiris. The scenery with its grassy rolling downs and beautiful little shola woods and perennial streams flowing through them attracted the Europeans. The early Portugese called Alwaye ‘Fiera d’Alva’ which was their favourite bathing place. It may, have been the very first hill station in the subcontinent, though we do not know when they first appeared at this small hill station in the former Travancore state. The resort boasted twice-weekly market with large trade in grain, fish and cattle. Alwaye popular also in Madras Presidency, now had a police station, post office, district hospital and unusual for a hill station, a custom house. 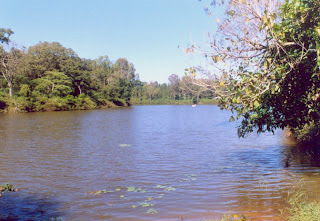 Alwaye, just 21 km away from Ernakulam is an ideal place for swimming in the river Periyar. Munnar, at 1,652 metres (5,420 ft), is a small town surrounded by the Anaimalai Hills and tea estates. 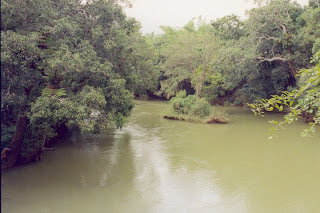 It stands at the confluence of three rivers - the Muthirappuzha, Nallathani and Kundala. Moonu in Tamil means ‘three’ and aar ‘river’. The highest peak in South India - Anaimudi 2,695 m is just 20 kms from Munnar. Munnar was the favourite summer resort of European settlers for centuries but has taken place on the tourism map of India only recently. It was the best-kept secret among hill station destinations. The year 1887 marked the beginning of the opening up of the High Ranges. John Daniel Munro of Pimmede, an officer of Travancore state and superintendent of the Cardamom hills leased the hill tract from the government. Munroe explored the area by following elephant paths and began to bring planters, mainly Scots, to join him in clearing the jungle. Life for pioneers was hard. In the 1890s, The Finlay Muir company moved into the hills and persuaded some of the proprietary planters to work for them. The company came to control almost all the estates in the area and its name is still preserved in the Indian company, Tata Finlay Ltd, which now owns them.Finlay Muir’s arrival did not make life any easier on the plantations. The hills were still inaccessible, except from the Tamil Nadu side. And so Tamil labourers were brought up to man the estates. Planters experimented with rubber and chinchona before settling for tea which was transported by ropeways from Top Station outside Munnar to Bottom Station where it was packed in Imperial Chests shipped out from Britain and despatched to Tuticorin harbour. In 1908 a light railway was opened to take the tea from Munnar to Top Station, but it was destroyed by floods in 1924. In 1931, the ghat road from the Cochin side to Munnar was finally opened and Top Station was no longer needed to transport the tea. There are roads to Munnar from Cochin, 224 km to the west, and Thekkady, 117 km away. There is also a mountain road which links Munnar with Kodaikanal only 92 km to the east. This road is extremely beautiful and lonely. Munnar has now become quite a popular hill station with many tourist resorts. Ponmudi is on the fringes of the Western Ghats near Agasthyakoodam at 6,201 ft. Much less is known of the history of Ponmudi, also on a hilltop in Travancore state 3,281 ft up at the head of the basin of the Vamanapuram river 65 kms from Trivandrum. It is a hill station with a view of the ocean and located among tea plantations in the heart of misty mountain tops. Though only 1450 ft above sea level, Courtallam is cooled by the summer monsoon in late May. This settlement became a spa town because of the warmth of the water delivered by its waterfalls. Courtallam is referred to as the “Spa of the South”. Its a small village located half-way between the towns of Shencottai and Tenkasi in Tamilnadu. 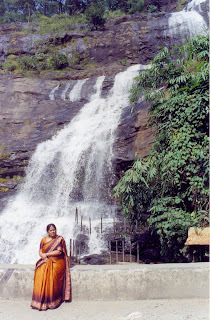 There are six waterfalls at Courtallam, spread out over an area of 10 sq. km, most people head for the Main Falls formed by the Chittar river thundering down over the huge steps of vertical rockface. There is also a museum which showcases the life and arts of tribal people that reside in the Dangs. The Dang tribals gave Saputara its name, for they come here during festivals such as Nag Panchami and Holi to worship the snake on the banks of Sarpaganga river. There is a placid lake which is the main attraction and the paddle boats operate throughout the year. The recently built ropeway is another attraction for the visitors. There is also the Hatgadh Fort and Pandava Caves nearby. Saputara is on the border of Maharashtra and only about 80 km from Nasik by road. Malsej Ghat is located in the Junnar region of Pune district at an altitude of 3,500 ft above sea level in the Western Ghats just 150 km from Mumbai. Malsej Ghat is located on a high plateau surrounded by the magical hills and the backwaters of Pimpal-gaon Joga dam. In the monsoons, the Western Ghats come into their own when the rain begins to lash against them and a series of waterfalls are formed. Harishchandra-gad Fort is nearby on a mountain that rises about 4,670 ft.
Atop the fort is a huge plateau and Harishchandreshwar Mandir. There is also a point behind the temple over-looking the awe inspiring Konkan Kada, a horse-shoe shaped valley with sheer cliff faces. Droves of pink-legged European flamingoes migrate here for about a month every year between July and September. They come here to breed in the marshy backwaters of Pimpalgaon Joga dam. Kudremukh, at 6,214 ft elevation in Malnad region of Karnataka, again is a hill resort that is developed during post independence. 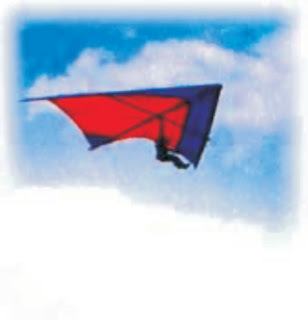 It is located just 95 km southwest of Chickmagalur. Kudremukh peak is close to the township that has been developed by Kudremukh Iron Ore Company that has extensive mining operations in the area. The area is now designated as a National Park, which has extensive evergreen forests and sholas. Ganganamula, the source of three important rivers - Tunga, Bhadra and Netravathi is located in the Bhagwati forest range in this area. Kudremukh National Park with an area of 600.32 sq. km is situated in two districts - Dakshina Kannada and Chickmagalur. 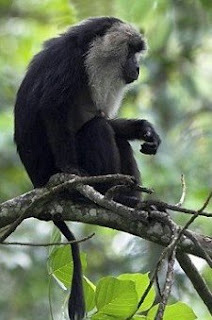 The area is home to Lion-tailed macaque, a highly endangered species. Other species include Panther, Tiger, Sloth Bear, Sambar, Malabar squirrel, Wild Pig and Gaur. Kalasa is a picturesque town located on the Banks of Bhadra river is just 20 km from Kudremukh and has many places of tourist interest nearby. 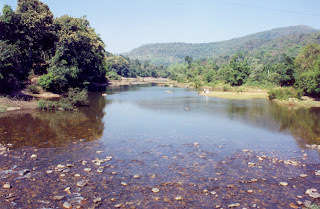 Biligiri Rangaswamy Range lies between the Kaveri and Kapila rivers in southern Karnataka. The area is a thick forest of moist and dry deciduous forests with patches of shola rainforest. The altitude varies from 750 to 1,816 metres, the highest point being Kattari Betta in the southern point of the sanctuary. 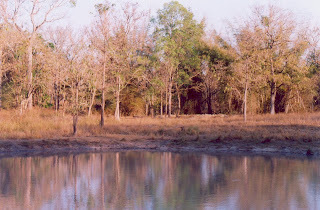 BRT is a designated wildlife sanctuary spread over an area of 539 sq. kms in the Biligiri Rangaswamy and Male Mahdeshwara ranges which forms an important link between the Eastern and the Western Ghats. The wildlife includes Tiger, leopard, Elephant, Cheetal, Sambar, Sloth Bear, Gaur, Langur, Spotted Deer, Peafowl and Grey Jungle Fowl. The Soligas are the oldest tribal inhabitants of these forests, with a population of about 20,000. The Soligas have co-existed with the forest for centuries in quiet harmony and have a rich traditional knowledge and cultural life. A few tourist resorts have now come up in the B. R. Hills. The Muthanga Wildlife Sanc-tuary also called Wayanad Wildlife sanctuary was set up in 1973 and became part of the Nilgiri Biosphere Reserve. There are also two more sanctuaries - Begur and Tholpetty. 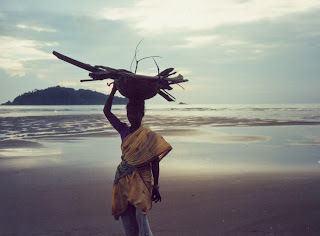 Wayanad is homeland to many tribal communities. Prominent among them are Paniya, Adiya, Kuruchia, Kattunayaka and Kuruma tribes. The Silent Valley lies in the densely forested hills of northern Palakkad in Kerala. 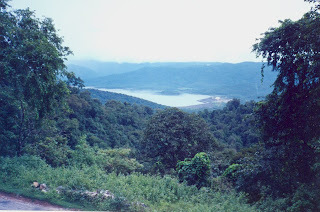 The Silent Valley is one of the least disturbed extensive patches of tropical monsoon forests in the Western Ghats which was almost destroyed by a proposed hydroelectric power project. In the event, a historic movement by environmentalists forced the Kerala State Electricity Board to abandon the project and made the state government declare the fragile area a protected national park. Both the Silent Valleys best-known endangered primates - the Lion-tailed macaque and the Nilgiri langur - are listed in IUCN’s Red Book of threatened animals. 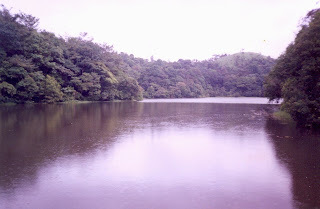 Today, the Silent Valley Park is in the core area of Nilgiri Biosphere Reserve of the Western Ghats. One popular explanation traces the origin of the name ‘Silent Valley’ to the absence of cicadas, characteristic of any rain forest. In recorded history, no human has ever made the Silent Valley his or her home. The topograhic isolation of the plateau, cut off on all sides by steep ridges and escarpments, has prevented human habitation, and so the forests here remained undisturbed until the middle of the 19th century. That isolation has also allowed the valley to endure as an ‘ecological island’, preserving the fauna and flora for over 50 million years that is said to be the evolutionary age of the Silent Valley. Thekkady, at an elevation of 3,300 ft above sea level has become a popular tiger reserve and is set around Periyar lake. Periyar lake itself is an artificial lake formed during the construction of the Mullaperiyar dam in 1895 - that explains the dead tree trunks and branches sticking out of the water. These trees were submerged in the waters of the dam. 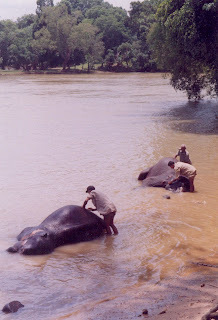 The Periyar Wildlife Sanctuary is spread over 777 sq. km, roughly half of which is dense evergreen forest, savannah grassland and moist deciduous forest. The sanctuary was declared a tiger reserve in 1978 under Project Tiger, and so the name Periyar Tiger Reserve is sometimes used to denote the place as well. 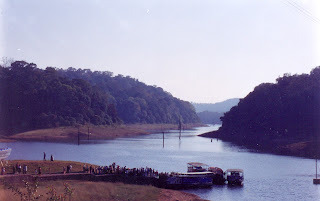 Thekkady Junction is the central part of the Periyar sanctuary, and has a number of tourist resorts. Nelliampathy is another hill station destination which is becoming popular of late. This is a small, tea-and-orange hill station situated 75 km from Palakkad and 40 km south of Nenmara, the nearest town. Nelliampathy is in the midst of evergreen forests and orange plantations. 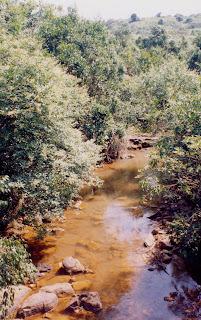 The forests are part of the Sahya Range of the Western Ghats. There are a number of hill resorts at the top including one run by Kerala District Tourist Promotion Council. The West Coast south of Surat runs parallel to the great escarpment of the Western Ghats for its entire length of about 1,600 km culminating at Cape Comorin. The straight looking coast is however quite jagged, marked by a large number of coves (small sheltered recesses in the coast) and creeks(small tidal inlets or estuaries of small streams). A large number of small streams descend from the precipitous Western Ghats and flow through the narrow coastal plain to open into the Arabian Sea. Although the streams are small, some of them have formed spectacular waterfalls. 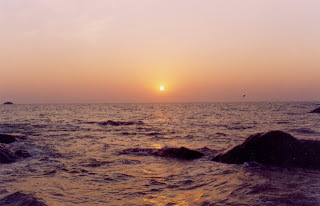 The Konkan coastal plain is cliffy and there are several shoals, reefs and islands in the Arabian Sea. Mumbai was a large island but parts of the sea have been reclaimed in recent years to connect it with the mainland. There is a submerged forest near Mumbai which suggests that the sea level rose on the Konkan coast not long ago. The coastal plain is dotted with flat-topped hills. Transverse flat-looped spurs come down almost to the shoreline from the edge of the plateau and dip into the sea at Karwar, the northern part of Karnataka. These appear to be abrasional platforms, now dissected by the west flowing streams. It is only on the Malabar coast that there are seen a number of lakes, lagoons and backwaters which form a noteworthy feature of the coast. These backwaters, locally called Kayals, are shallow lagoons or inlets of the sea, lying parallel to the coastline. The largest among them is the Vembanad Lake, which is about 75 km long and 5-10 km wide; it gives rise to a 55 km long spit. 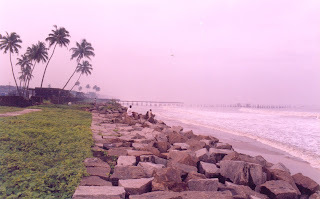 Cochin harbour is situated on its opening into the sea. These backwaters form important physical as well as economic features of the Malabar coast, affording facilities for inland water communication. The silt brought by recurring monsoon floods support large forests and plantations along the shores. There are remarkable mangrove swamps lining the coast. 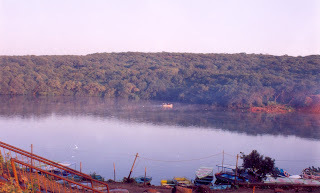 Although the Ghats run parallel to the coast, the width of the coastal lowland varies. At Konkan it is about 50 to 60 km wide. From Goa to Kozhikode, the width of the coastal zone is more variable than in Maharashtra. 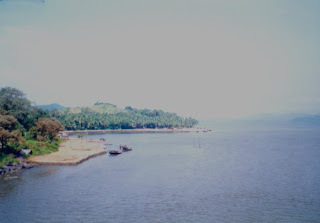 It is about 40 km wide at the latitude of Goa and then suddenly narrows near Karwar where the Ghats almost meet the sea. To the south of 140N, the coastal zone now called Dakshina Kannada, widens once more to almost 80 km south of Mangalore. The coastal region after Kodagu, known as Malabar, is not more than 30 km wide up to the latitude of Kozhikode. From here it widens out to about 60 km near Palghat Gap. South of the Palghat Gap the coastal zone constituting Travancore varies in width between 30-50 km. The tropical monsoon climate covers the entire coastal belt. The Western Ghats greatly influence the climate and separate the west coast from the dry interior upland. The elevated Ghats obstruct the monsoon winds from South West and the orographic effect is considerable. Rainfall on the coast is extremely heavy during June-September averaging 100 inches (2,540 mm) with some of the wettest spots recording 300 inches (7,500 mm). The duration of the dry season gradually increases from two months in the southern parts of the Ghats to over eight months north of Mumbai. The monsoon generally arrives towards the end of May at the southern tip of India; Tiruvananthpuram in the first week of June, in another five days it has already crossed Mumbai and by middle of June it is beyond Kutch. Kerala is directly exposed to the southwest monsoon but also receives rains from the reverse (north east) monsoon. And for this reason the dry seasons towards the south are shorter. The maritime history of the West Coast of India predates the birth of Western Civilisation. The world’s first tidal dock is believed to have been built at Lothal around 2,300 BC during the Harappan civilisation near the present day Mangrol harbour on the Gujarat coast. Even before Alexander, there were references to India in Greek works and India had a flourishing trade with Rome. Roman writer Pliny speaks of Indian traders carrying away large quantities of gold from Rome, in payment for much sought exports such as precious stones, skins, textiles, spices, sandal wood, perfumes, herbs and indigo. It was the lure of spices that attracted traders from the Middle East and Europe to the many trading ports in Kerala - Calicut, Cranganore, Cochin, Alleppey and Quilon - long before the time of Christ. And it is believed that it was on a trading vessel plying between Alexandria and the Malabar that St. Thomas, the Apostle arrived in Cranganore in 52 AD and began preaching the Gospel and established seven Christian communities in Kerala. From the earliest times, the West Coast had developed a considerable shipbuilding industry, specialised in building large vessels. There are several accounts of such activities including that of Marco Polo who has described the Indian built ships. European interest in India has persisted since classical times and for very cogent reasons. Europe had much to derive from India such as spices, textiles and other Oriental products. When direct contact was lost with the fall of Rome and the rise of the Muslims, the trade was carried on through middlemen. In the late Middle Ages it increased with the prosperity of Europe. Spice trade was not solely a luxury trade - spices were needed to preserve meat through the winter (cattle had to be slaughtered in late autumn through lack of fodder in winter) and to combat the taste of decay. Wine, in the absence of ancient or modern methods of maturing, had to be ‘mulled’ with spices. This trade suffered two threats in the later Middle ages. There was the threat of Mongol and Turkish Invasion which interfered with the land route through Egypt, and there was the threat of monopoly shared between the Venetians and Egyptians. The Moors in Calicut instigated the Zamorin against Vasco da Gama, and he was compelled to return with the bare discovery and the few spices he had bought there at inflated prices (but he still made 3,000% profit !). A force left by a second expedition under Cabral (who discovered Brazil by sailing too far west), left behind some men in a “factory” or trading station, but these were killed by the Moors in revenge for Cabral’s attack on Arab shipping in the Indian Ocean. Vasco da Gama was sent on a mission of vengeance in 1502, he bombarded Calicut (virtually destroying the port), and returned with great spoil. His expedition turned the commerce of Europe from the Mediterranean cities to the Atlantic coast, and opened up the east to European enterprise. Arab horses. Apart from Calicut (1510-1616) and Goa (1510 -1961), the other Portugese possessions on the west coast included Bombay (1530-1664), Diu (1535-1961), Surat (1540-1615), Damao (1558-1961) and Bhatkal (1560-1637) . In 1534, Sultan Bahdur Shah, the ruler of Gujarat ceded the island of Bombay to The Portugese and in 1661 it was given as a marriage dowry to King Charles II when he married the Portugese Princess, Catherine of Braganza. The crown ceded it to the East India Company in 1665. During the fourth Mysore War (1799) between the British and Tipu Sultan of Mysore, Tipu was defeated and killed and among the other territories, the coastline of Karnataka came under the British rule. By the year 1818, the Marathas were completely subdued and their territories annexed by the British which also included most of the west coast of Maharashtra. The West Coast was now completely under the British regime with the exception of few pockets under the Portugese (Goa, Damao & Diu), the French (Mahe) and the Travancore coast. Today, the west coast represents one of the most developed areas, both industrially and economically, of the country with four major ports - Mumbai, the largest port in the country, Marmugao, Mangalore and Cochin. 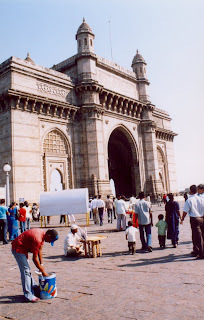 Mumbai is the financial capital of India and also an important industrial hub with a population of over 12 million. A major Naval Base is taking shape at Karwar. Apart from the major ports the entire coast is strewn with smaller harbours all along. It’s also a high population density area with Kerala having the highest population density in the country. Surat southward, the coast is connected by National Highway 8 up to Mumbai and then by NH 17 - Panvel-Mangalore-Trissur. From Trissur NH 47 takes over and goes up to Kanyakumari. Konkan Railway, the west coast railway route was launched in January, 1998. Konkan Railway line connects Mumbai to Mangalore with a distance of 760km. 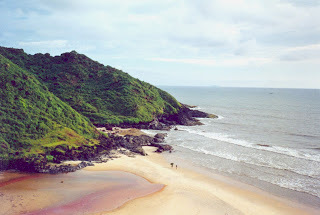 It connects the three states - Maharashtra, Goa and Karnataka through the mountainous terrain of the Western Ghats. It goes through 92 tunnels and crosses nearly 1700 bridges and traverses through one of the most picturesque region of the west coast. Surat downwards the west coast is dotted with innumerable beaches interspersed by estuaries of the west flowing rivers, creeks and shoals. The more famous beaches are that of Goa and Kerala which have been attracting considerable tourist traffic - both international and domestic. The protection of wild life has a long tradition in Indian History. Wise use of natural resources was a prerequisite for many hunter-gatherer societies which dates back to at least 6,000 B.C. Emperor Asoka’s edicts of the third century B.C. depicts one of the earliest conservation laws. Centuries later, the Mogul emperors, sportsmen, men of action and born observers that they were, displayed a deep interest in the animal life of the country. The ethos of conservation and reverence for nature and wildlife as reflected in some of the exquisite images depicted in Indian art, painting, sculpture and architecture and use of animal fables from early literature like Panchatantra and Hitopa-desha are more relevant today than they were centuries ago. Pre-colonial rulers had set up hunting reserves in many parts of India. In later years some fine sanctuaries were established in what was then British India, and in a few of the princely states. Well known examples are Bandipur in Karnataka, Corbett Park in Uttar Pradesh, Vedanthangal in Tamil Nadu. But for the protection given to the Lion in Junagadh State and to the Great Indian Rhinoceros in Nepal and Assam, these two animals would have been exterminated long ago. Natural ecosystems have evolved over millions of years. A remarkable feature of the ecosystems is the basic stability of populations that they sustain, providing for a natural balance. Each ecosystem sustains a variety of organisms adapted to their environment and participating in a cycle of events involving interdependence between organisms and the physical world around them. Deforestation has been one of the major causes for the depletion of wildlife. Wild animals are left with no alternative but to adapt, migrate or perish. Widespread habitat loss has diminished the population of many species, making them rare and endangered. There was a wholesale slaughter of wild creatures during late 19th and early 20th century during the colonial period. ‘In sheer numbers, over 80,000 tigers, more than 1,50,000 leopards and 2,00,000 wolves were slaughtered in a period of 50 years from 1875 to 1925’ (Mahesh Rangarajan). The beginning of the Second World War in 1939 resulted in enormous pressures on Indian forests for timber in early 1940s. Contractors moved in and large tracts of forest were cut down. They had guns, they hunted on a large scale. Few accurate records exist of the slaughter that took place. The wood was even sent to Burma and beyond for building all that the British required. The forest service was fully occupied in this task. After independence in 1947, a spate of ill-advised developmental schemes, an uncontrolled push for agricultural land, and unmonitored hunting wrought havoc on wilderness. A series of river valley projects sprung up in prime wilderness areas. While this habitat devastation was taking place, the elite took to more sophisticated guns and tougher vehicles like jeep to make inroads into the forest and shoot thousands of tigers and other game. It was free-for-all. The British had left but the Indian elite was on a binge to shoot tigers. Shikar companies sprang up everywhere, enticing hunters from all over the world to the killing game. With a growing concern for the fast dwindling wildlife, the Government of India in 1952 set up the Indian Board of Wildlife, as also state wildlife boards. Wildlife together with forestry, has traditionally been managed under a single administrative organisation within the forest department of each state or union territory, with the role of central government being mainly advisory. There have been two recent developments. First, the Wildlife (Protection) Act has provided for the creation of posts of Chief Wildlife Wardens and Wildlife Wardens in the states to exercise statutory powers under the Act. Under this act it is also mandatory for the states to set up state wildlife advisory boards. Secondly, the inclusion of protection of wild animals and birds in the concurrent list of the constitution, has proved the union with some legislative control over the states in the conservation of wildlife. The situation has since improved; all states and union territories with national parks or sanctuaries having set up wildlife wings. The adoption of a National Policy for Wildlife Conservation in 1970 and the enactment of the Wildlife (Protection) Act in 1972 lead to a significant growth in protected areas network, from 5 national parks and 60 sanctuaries to 87 national parks and 485 sanctuaries in 2000. The network was further strengthened by a number of conservation projects, notably Project Tiger, initiated in April 1973 by the Government of India with support from WWF and the Crocodile Breeding and Management Project, launched in April, 1975 with technical assistance from UNDP/FAO. The large number of protected areas indicates concern for conservation. However, not all biogeographic provinces have received adequate attention, and vital habitats have been left unprotected. As many as 105 of India’s protected areas (out of a total of 571 parks and sanctuaries) are located in the Andaman and Nicobar archipelago alone. But the sanctuaries occupy only a small percentage of total mainland, barely 4 percent of mainland India. Many of them are small; 113 sites are less than 20 sq. km in extent, and some of these are too isolated from other wilderness sites to form viable habitats. Only 25 wildlife reserves in India cover more than 1,000 sq. km each. Western Ghats is an area of exceptional biological diversity and conservation interest, and is one of the major tropical evergreen forest regions in India. As the zone has already lost a large part of its original forest cover (although timber extraction from the evergreen forests of Kerala and Karnataka has now been halted) it must rank as a region of great conservation concern. The small remaining extent of natural forests, coupled with exceptional biological richness and ever increasing levels of threat (agriculture, reservoirs, flooding, plantations, logging and over exploitation) are factors which necessitate major conservation inputs. The system of Protected Areas in the Western Ghats includes Nilgiri Biosphere Reserve, the first and the largest biosphere reserve in India, 13 National Parks and 45 Wildlife Sanctuaries. The largest national park is Bandipur with an area of 874 sq. km and the largest wildlife sanctuary is in the Anaimalai hills having an area of 841.49 sq. km the 58 protected areas together cover an area of 14,140.36 sq. km this amounts to 8.8% of the Western Ghats area. Of this, Bhadra, Bandipur, Periyar, Kalakad Mundanthurai are Project Tiger Reserves (Ministry of Environment and Forests, 1998). Some of the protected areas in Karnataka, Tamil Nadu and Kerala have also been designated as Project Elephant Reserves. The Bandipur national park in Karnataka is flanked by the Mudumalai sanctuary in Tamil Nadu, the Nagarhole park in the north and the Wayanad sanctuary in Kerala in the west thereby providing a continuous corridor and the largest habitat area to elephants. It is believed that there were more than 40,000 tigers in India some 80 years ago. Habitat destruction, rampant poaching and hunting brought about a sharp decline in their numbers. 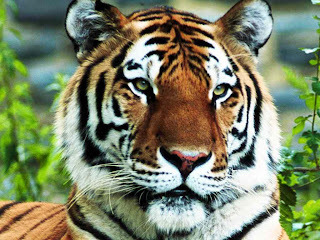 The National census of tigers in 1972 recorded the existence of only 1827 animals. Considering the alarming endangered status of this majestic animal, the Government of India with support of WWF launched a scheme to protect the tiger called “Project Tiger” with nine sanctuaries declared as tiger reserves. More tiger reserves were added in due course of time and today there are 28 national parks/sanctuaries under Project Tiger. The main objective of Project Tiger was: “To ensure maintenance of a viable population of tiger in India, and to preserve, for all time, areas of biological importance as a national heritage for the benefit, education and enjoyment of the people”. 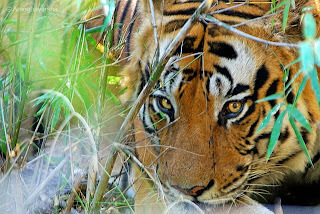 The then Prime Minister of India, Mrs. Indira Gandhi, a strong supporter of the Project, and of conservation in general observed, “The tiger cannot be preserved in isolation. It is the apex of a large and complex biotope. Its habitat, threatened by human intrusion, forestry and cattle grazing, must first be made inviolate”. Project Tiger is a holistic conservation programme. The tiger cannot be saved in isolation. Saving the tiger involves the maintenance of a viable population of its prey species - the herbivore animals. For the herbivores to survive it has to be ensured that the vegetation of the forests is rich and varied. Thus saving tiger means saving an entire ecosystem. The project is administered jointly by the wildlife departments of both the states and the centre. Project tiger, initiated in 1973, is one of the most comprehensive conservation efforts ever launched. At the apex of a complete biota, the tiger can be saved, not in isolation, but by making its habitat sacrosanct. Populations of rhinoceros, elephant, swamp deer, gaur and several other species have been preserved in this way. Project Elephant, a scheme sponsored by the Government of India has designated 10 elephant reserves in the country of which 4 are in the Western Ghats. The four reserves also contain a mosaic of vegetation types and ecosystems harbouring high diversity of flora and fauna. For each elephant reserve a perspective plan has been provided which identifies the spatial integrity, important corridors, conservation issues and recommended action. Elephant Research and Conservation Centre (AERC 1998) has set up GIS database for 39 divisions comprising the four reserves in the Western Ghats. The AERC has also established a database on the demography and mortality of elephants and human elephant conflicts within the reserves. Note: About 6,000 sq. km of these reserves are actually outside the limits of the Western Ghats yet contiguous. An estimated 6,822 elephants occur in this area. Since the launch of the tiger conservation movement and the ‘Project Tiger’ in India, the tiger has made a dramatic recovery. Improvement in the quality of habitat and available prey has been considerable not only within the Project Tiger reserves, but also outside in Anaimalais and Nagarhole in the Western Ghats. Further to the managing the systems of Protected Areas and initiatives such as afforestation, eco-development, Joint Forest Management, the state departments of forests have mooted programmes that specifically address conservation of endangered vertebrates. Chief amongst these is the annual wildlife census organised by the forest departments. 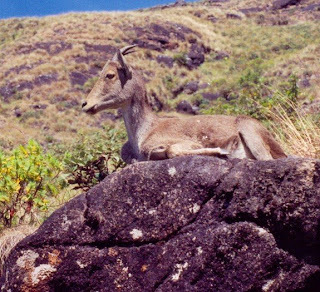 These censuses have enabled the closer monitoring of the status of some of the endemic and endangered mammals of the Western Ghats. Programmes on captive breeding and ex-situ conservation of such mammals and reptiles have also been coordinated by the forest departments through the zoos. “ This universe is the creation of Supreme Power meant for the benefit of all; Individual species must therefore learn to enjoy its benefits by forming part of the system in close relationship with other species; let not the other species encroach upon the other’s right”. Over the past century, India’s wildlife has dwindled to a mere fraction of its former strength and the flora and the fauna in the Western Ghats have not fared any better. Reduction in the forest areas means reduction of the wildlife habitat, which due to various factors has become fragmented. Conversion of forests into plantations, roads, railways, agricultural holdings, human settlements, hydroelectric project, irrigation dams, mining and location of industries in forest areas have all contributed to a very sizeable area of forests lost in the Western Ghats. The other factors which contributed to the depletion of wildlife are uncontrolled hunting, poaching and pollution. Deforestation has been one of the major causes for the depletion of wildlife. With the increase in human population and the growing need for resources, forests were cleared or encroached upon for agriculture, for human habitation, for grazing of livestock and for hydroelectric and irrigation dams. Thousands of square km of prime, evergreen forests have been submerged and destroyed in the Western Ghats for the sake of these development projects. Industries also made heavy demand on forest resources such as wood for paper mills, exploitation of gums and resins, mining of forest land for minerals and ores, building materials, etc. Uncontrolled hunting of wildlife for pleasure, food, furs, skins, horns, tusks, etc. posed a serious threat to the survival of wildlife. The illegal trade in animal skins has been responsible for destruction of a large number of tigers, leopards, deer, fishing cat, crocodile and snakes as well as birds with beautiful plumage. Elephants were hunted for ivory. There are laws in the country to prevent such illegal trade, but these are often violated by unscrupulous elements, traders and exporters. 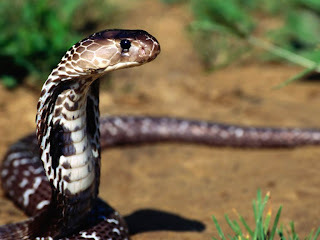 Added to this is the practice of trade in exotic mammals, birds and reptiles and use of animals for biomedical research. Pollution of air, water and soil due to various industrial activities apart from affecting humans affect the well being of animals also. Industrial effluents containing harmful chemicals discharged into the lakes, rivers and oceans adversely affect the aquatic life. DDT and Dieldrin, used as pesticides also has major effect on birds, particularly sea birds. The egg shells of birds become thin, making them vulnerable to breakage due to the weight of the female while incubating them. Oil pollution is another serious problem affecting the seas through leakage from cargo ships and due to accidents. Despite, the seemingly complex and stable nature of ecosystems, a large number of animals which roamed the earth in early geological periods have become extinct. Extinction is a natural phenomena in the evolution of animals. Certain species disappear gradually as they are unable to withstand the competition from those that are better adapted. Sometimes a whole group of animals have become extinct as had happened with dinosaurs at the end of Cretaceous period, some 70 million years ago. Many mammals like mammoths and mastodons have also become extinct. Countless other forms of animals and plants have flourished and disappeared. We know about them from fossil records preserved in the crust of the earth. Extinction is irreversible. This has been part of the evolutionary process which has produced more advanced forms of life - a process that has occurred over a vast span of time over millions of years. The greatest contribution of Charles Darwin, who propounded the Theory of Evolution, in his logical explanation for evolutionary changes and appearance of new form of life - natural selection - the success of those organisms that are capable of adapting to the environment, to survive and reproduce. Extinction of species has taken place over millions of years, long before the advent of man. Primitive man lived in harmony with nature and did not cause the extinction of animal species. However, the spread of civilization across the world and the progressive exploitation of Nature have had an adverse impact on wildlife. Hunting for animals, alteration of the environment, habitat destruction, pollution of the land, air and water, the human population explosion - all these have been responsible for the extinction of animal species in recent times. Since the 17th Century about 120 mammals and 150 birds have become extinct. The rate of extinction due to human interference has accelerated since the dawn of industrial age. In India, the Cheetah, the lesser one-horned rhinoceros, the pink- headed duck and the mountain quail have become extinct in the last one century. 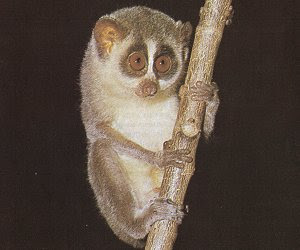 Many mammals and birds have become rare and endangered and many a natural range diminished in size with increasing deforestation, often confining the animals to small territories. The wildlife always had an association with the folklore and the legendary belief of India. Some 30 different mammals are mentioned by name in the Samhita (the four principal Vedas). Among them is the elephant, the favourite of Indra, whose sanctity is enhanced by the belief that eight elephants guard the eight celestial points of the compass. The langur or Hanuman monkey is held in veneration because of its association with the warrior monkeys who helped Rama in his war against Ravana. The lion is one of the many incarnations of Vishnu. The tiger finds mention in the later Vedic texts. The mongoose features in Mahabharata as a teacher of wisdom to King Yudhistira. The deer is always associated with Brahma, the creator, and is the constant companion of Mahadeva. The wild boar is referred to as ‘Boar of Heaven’. It is told how in the primordial floods Vishnu taking the form of a boar, raised the submerged earth from the waters and supported it on his tusks. Lord Ganesha, Hanuman, Narasimha, are deities worshipped all over India that have animal association. 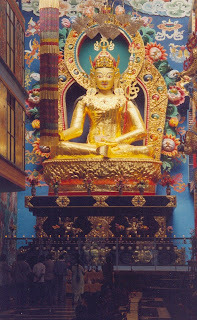 Different animals and birds are also venerated as vehicles of different deities. Nandi, the bull for Shiva, deer for Brahma, eagle for Vishnu, peacock for Saraswati, tiger for Durga, horses for the Sun God, and so on. The earliest known record of measures taken for the protection of animal life comes from India. The oldest record which we have today is the Fifth Pillar edict of Ashoka the Great by which game and fishery laws were introduced into northern India in the third century B.C. In this inscription the Emperor had carved on enduring stone a list of birds, beasts, fishes and possibly even insects, which were to be strictly preserved. The mammals named are bats, monkeys, rhinoceros, porcupines, tree squirrels, barasingha stags, brahminy bulls, and all four footed animals which were not utilised or eaten. The edict further ordains ‘that forests must not be burned, either for mischief or to destroy living creatures’. Centuries later, the Mogul Emperors, sportsmen, men of action and born observers that they were, displayed a deep interest in the animal life of the country. Their writings are full of descriptions, some in great detail, of the animals, the plants and the flowers of the country over which they ruled. 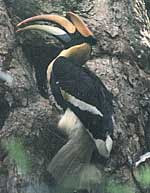 The animal life of the Indian peninsular region is characterised by the absence of many of the Indo-Malay species which are so abundant in the hill forests of the Himalayas. It is the home of the true Indian fauna of which the spotted deer, the nilgai, the blackbuck, the four-horned antelope, and the sloth bear are typical representatives. They are found no where else. 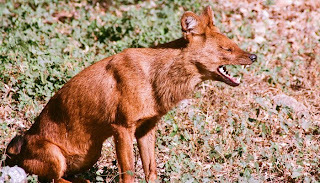 Other species like the gaur, the sambar and the muntjac (barking deer) occur both in India and Malay countries. The Western Ghats, in sharp contrast to the adjoining dry zone of the Deccan present a region of great humidity and heavy rainfall. The forests covering the western slopes are at times very dense and composed of lofty trees, festooned with perennial creepers. Bamboos form a luxuriant undergrowth. In parts of the range the forests are more open and the banks of clear streams running through them are covered with spice and betel groves. 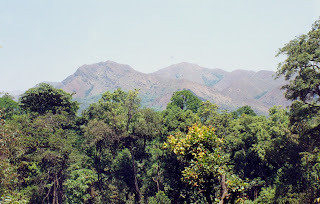 The Nilgiris, an offshoot of the Western Ghats, rise precipitously to form extensive grassy downs and tablelands seamed with densely forested gorges or Sholas. They are composed of evergreen trees with dense undergrowth. 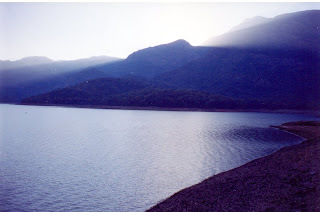 Sholas similar to Nilgiris occur in Anaimalais, Palni Hills, Kudremukh and other south Indian ranges. 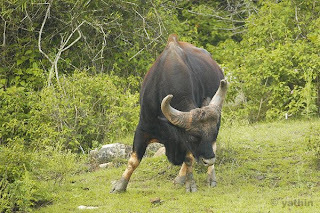 They provide the main shelter to wild elephants, gaur and other large animals of these hills. The most interesting feature of the higher level forests of Nilgiris is their affinity to the Assam hill ranges. Many of the trees found in these high ranges and some of the forms of animal life are common to both the areas. The forests of the Western Ghats and the south Indian hill ranges have a richer fauna than the remaining areas of the peninsular region. Among the species limited to these forests are the Nilgiri langur, the Lion-tailed macaque, the Nilgiri brown mongoose and the striped necked mongoose, the Malabar civet, and the spiny mouse. 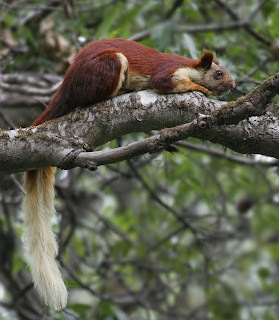 In the higher levels of the Nilgiris and the Anaimalais are found such characteristically Himalayan animals as the tahr, the pine marten and the European otter. One hundred and twenty species of mammals are known from the Western Ghats of which fourteen species are endemic (found only in that area). The mammalian fauna of the Western Ghats is dominated by insectivores (11 species), bats (41 species) and rodents (27 species including porcupine). Few studies have, however, paid attention to the community structure and organisation of these small mammals in the Western Ghats, although there have been attempts to review our understanding of the status and ecology of smaller cats and lesser carnivores. Endangered animals are those whose numbers are at a critically low level and whose habitat is so drastically reduced or damaged that they are in imminent danger of extinction. In animal population, the tempo of decline accelerates after a gradual fall to a low level; once the local population of a species is much reduced its ability to recoup deteriorates progressively, and with the fall in numbers often the factors of depletion gain lethal potency. The International Union for Conservation of Nature and Natural Resources (IUCN) maintains a Red Data Book providing a record of animals which are known to be in danger. In India, the Wildlife (Protection) Act, 1972, provides four schedules categorising the fauna of India based on their conservation status. Schedule I lists the rare and endangered species which are afforded legal protection. It is revised from time to time representing the exact status of the species. At present estimate, 81 species of mammals, 38 of birds and 18 amphibians and reptiles are considered to be endangered in India. Conservation efforts have restored the status of some of these animals, like the tiger, rhinoceros, crocodile, etc. Hit counter by www.website-hit-counters.com website. Environmentalist. Born (1938)into Pai-Dhungat family of Verem Goa, spent his early childhood in Goa and in Mumbai. Educated in Mumbai. Retired from Adertising & Marketing a decade ago. Writer on environment and ecology. An avid photographer he now lives in Bangalore. Founded and involved with the running of OMASHRAM, an old age home at Bangalore. Books authored: The Western Ghats, Mahadayi/Mandovi River Valley, The Flight of Gods, The Elderly.